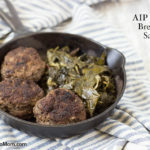 Recipe perfection for me is any recipe that doesn’t require much hands-on time, uses inexpensive ingredients, and provides a sophisticated and amazing flavor that my whole family loves. 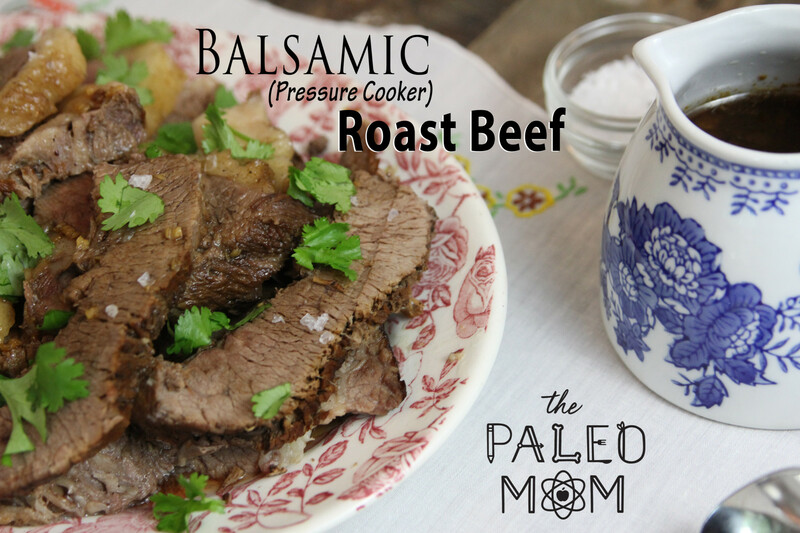 With this trifecta in place, you can easily see why this recipe for balsamic pressure cooker roast beef has become part of my normal rotation! This recipe takes an inexpensive cut of meat and gives it not only fantastic flavor but a tender texture akin to a high-quality roast! I admit that I’m not a big fan of pot roasts and generally seek alternative methods to prepare tough cuts of meat. And of everything I’ve tried for that classic pot roast cut, the chuck, this recipe is the winner! 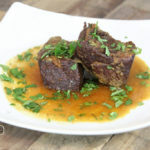 Of course, if you prefer that classic pot roast texture, you can achieve that with this recipe simply by increasing the cooking time to 1.5 hours. Using an Instant Pot cuts dramatically down the cooking time while minimizing hands-on time and with minimal clean-up (just the stainless steel insert!). If you don’t have an Instant Pot yet, put it on your wish list (and check out the amazing coupon below!)! It’s an incredibly useful kitchen tool that is both slow cooker and super safe pressure cooker. 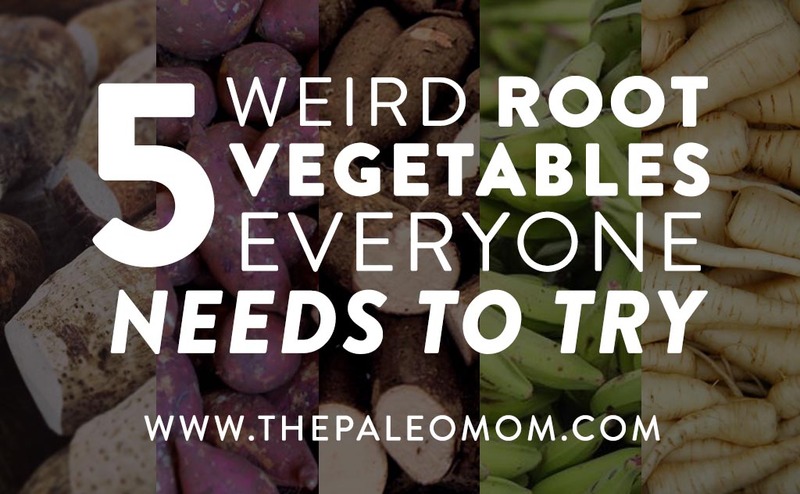 I’ve used mine to make a variety of soups, stews, to cook any tougher cut of meat from cheek to chuck, to make broth in a quarter the amount of time that it takes on the stovetop, to braise tough greens like collards, to make rice (ssshhh, don’t call the Paleo Police! ), and even to make yogurt! My favorite is the pressure cooker function though since it’s such a hands-off way of making a quick and delicious meal, even when my meat is still frozen! Note that you can use any pressure cooker for this recipe. If you prefer, you can use a slow cooker on low for 8-10 hours in lieu of a pressure cooker or even still in your Instant Pot (add a little extra broth to make sure your roast is completely covered and top up with broth if liquid gets too low). The texture will definitely be pot-roast-esque if you use a slow cooker. Time-Saving Tip: Need something even faster to throw together? Go ahead and skip the searing step! 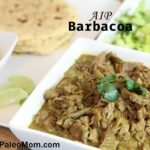 I think it locks some moisture in the meat and adds a bit more depth of flavor but I’ve made this several times simply by throwing all the ingredients into my Instant Pot and it’s crazy delicious every time! Right now, you can get $50 off your order at InstantPot.com by using code ThePaleoMom at checkout!! Pat roast dry with paper towels and rub salt on all sides of roast. Add olive oil to Instant Pot and turn it to saute function. Add roast and sear on all sides (this takes about 2-3 minutes per side). Add remaining ingredients to the Instant Pot. Using pressure cooker function, place lid on the instant pot with Cook on high pressure for 45 minutes. Remove roast from Instant Pot, and let rest for 5-10 minutes (you can tent with tinfoil to keep it warm). Meanwhile, reduce the liquid in the instant pot by about two thirds using the saute function (this takes up to about 10 minutes, but keep an eye on it!). Slice the roast and pour reduction over to serve. Garnish with coarse finishing salt and chopped parsley if desired. This recipe sounds yummy. Do you have a method of cooking if you do not have an instant pot? Yes! Paragraph 4 gives instructions to make it in a slow cooker. We have been enjoying lot’s of yummy meals from your cookbook!!! We are so thankful for it. I just this last week learned about instant pot. 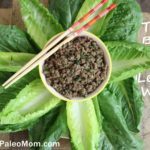 Been Paleo for 4 years with no significant improvement to my health. and have already experienced tremendous relief!!! Mmm, this recipe combines two of my favorite, balsamic and roast beef. I’ll use grass fed beef cuts for this. I don’t have an instant pot, but I am now intrigued to look it up. This was great that it called for ingredients that we normally have on hand and so easy to pull together. We used a large “round steak” that was sitting in our freezer and though it ended up being a bit drier because it was a thin cut, it was still fork tender and very flavorful. My husband was in awe with our new Instant Pot lol . The family loved it and i think I’ll dd this to our meal rotation. Any thoughts on how a rump roast might do in a pressure cooker? Do you do a quick release after the meat is cooked? My roast is only 2 pounds… How long should I cook it? I’m using an Instant Pot. Thank you! I’d love to know how this turned out – I also have a 2 pound roast. Did you reduce the other ingredients by half also? And is it QR or NPR? Thanks! Made this last night and it is seriously one of the best roast I’ve ever made. So delicious and full of flavor! BRAVO!!! 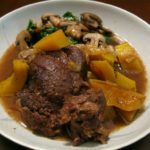 I wish there was a discussion on this website regarding the scientific principles behind using an instant pot. I am used to cooking meat in an oven, removing a few minutes early and allowing residual heat to finish the job and testing with an internal thermometer. This does not seem practical to do with an instant pot. 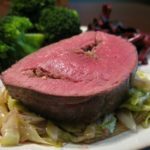 I made this recipe today with a 3 pound eye of round roast and cooked it for 30 minutes, using quick release, and it is so tough I can barely eat it. I don’t know if it’s the meat, I don’t know if I need to cook it more or less, I don’t know if I need to use Quick Release, or natural release, or how those things make a difference ( as they are essentially different cooking methods, I would assume they do). Since this site is built on science, I would love to see more science on the instant pot. I have found helpful information on this site. Thank you, Dr. Sarah. 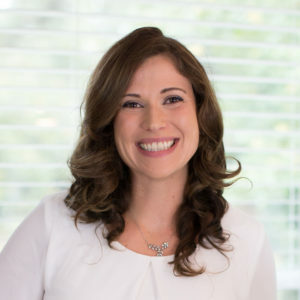 However, like Michele, I wanted to learn more about the scientific principles behind using an Instant Pot in order to make decisions about what foods I would cook in it. I Searched/Googled: “the scientific principles behind using an instant pot” and found many sites with helpful information. Hope this helps you, Michele. I was so inspired that I tried to use “THEPALEOMOM” code on amazon to order an instant pot of my own. It doesn’t seem to work. I guess that I will just continue to use the old over the stove pressure cooker.